In Apple's fiscal Q1'16 Earnings Report, Apple CEO Tim Cook made frequent references to the worldwide macro-economic downturn since 2014. Most companies would retrench and cut back in R&D and other investment in a such a downturn. Not Apple. Apple's strategy is very different. In fact, we've see it work before. Mr. Cook spelled out his formula, again, for all to hear. 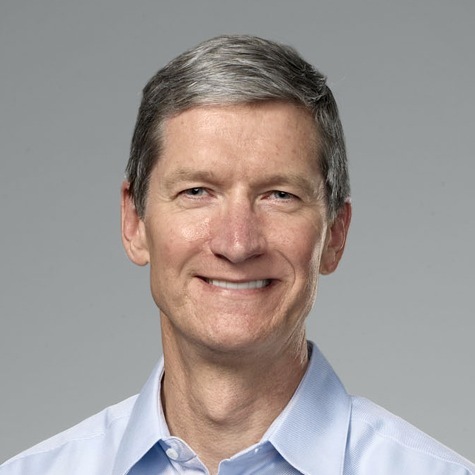 Tim Cook made a series of pointed declarations about Apple's intentions during the current worldwide economic slump. We believe in investing during downturns. Is CEO Cook trying to put a good face on a downturn that could slow the company's growth? The fact is that Apple has dealt with this before, under Steve Jobs. Back during the recession of 2008, Apple explained how all this works. Namely, Apple's customers who pay for premium brands are least affected by downturns. Henry Blodget explained, "Why Apple Won't Get Crushed By The Recession." Mr. Blodget was right. And they weren't. Having seen his company weather bigger storms, Mr. Cook remained optimistic. Mr. Cook made mention, obliquely, to other companies that retrench in market like this because they fear their customers will scale back. Declining sales means that there's no money to do research, reimagine the product line, or retain the best talent. Apple is also a company that takes the long term view. What's good for a company in the short term, virtually by quarters, often eviscerates a company's ability to thrive in the long term. We will continue to invest. It is in Apple's long term interest to do so. In summary, we've seen it all before. A downturn has some investors nervously worrying that Apple's growth will be stalled forever and the company will be crushed by ongoing macro-economic affairs. Apple, instead, invests in the future and comes out on the other side in a far better position that the competitors who short-sightedly retrenched. Mr. Cook, in these quotes, couldn't have spelled out Apple's winning strategy any more clearly. It works.